Huawei P20 Pro and P20 Lite, have been launched at event in India today. If we talk about specs, the camera is the highlight of Huawei’s new P20 series phones. The P20 Pro is the premium device and the first device to come with a triple rear camera setup. While Huawei P20 Lite is a mid-range phone and it has dual rear cameras. Both the P20 Pro and P20 Lite sport a Full View display with a notch on top. Huawei launched the P20 Pro along with P20 and P20 Lite globally back in March, however in India, only P20 Pro and P 20 Lite have arrived. The P20 Pro being a premium device comes with features like Kirin 970 SoC, 6GB RAM along with triple cameras, while P20 Lite comes with Kirin 659 SoC, 4GB of RAM. Both the Huawei P20 Pro and P20 Lite are exclusive to Amazon India and the smartphones will go on sale starting from April 30. Starting with the highlight of the launch Huawei P20 Pro, which has a triple rear camera setup co-engineered by Leica. It has an 8MP primary sensor with 3x optical zoom Leica telephoto lens and f/2.4 aperture. The second one is a 40MP RGB sensor with f/1.8 aperture, while the third one is a 20MP monochrome sensor with f/1.6 aperture. Between the larger lenses, there is a laser transmitter for quick autofocus and a Leica color temperature sensor. The P20 Pro also offers 4D Predictive Focus for instant focus with motion prediction and nearly zero shutter lag. The smartphone supports 6-axis stabilization and 960fps super slow-motion video recording as well. It also offers ‘Master AI’ scene recognition to help in alignment and framing. 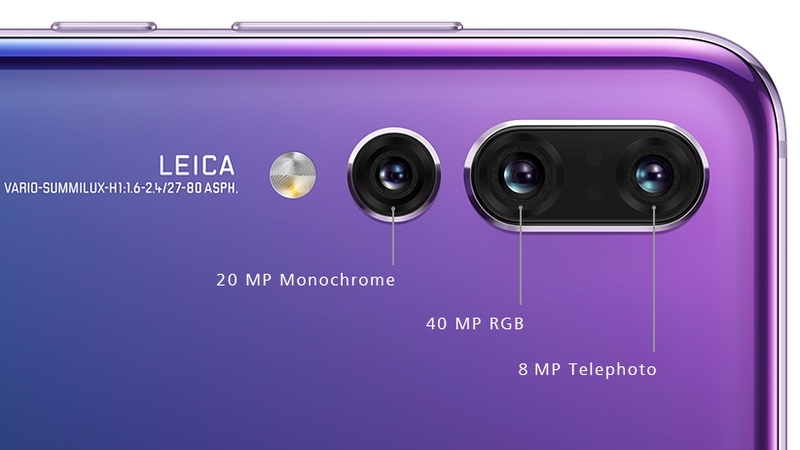 Huawei P20 Pro gets a 24MP front camera with f/2.0 aperture. It supports fixed focal length as well as 3D Portrait Lighting and uses 3D facial modeling technology driven by AI for better selfies. The Huawei P20 Pro is a dual-SIM smartphone that runs on EMUI 8.1 based on Android 8.1 Oreo. It also supports Google ARCore and a customized Google Assistant. It comes with a 360-degree Face Unlock feature. The smartphone is powered by an octa-core Huawei HiSilicon Kirin 970 SoC coupled with a dedicated NPU for AI features. The Huawei P20 Pro has 6GB of RAM and 128GB of inbuilt storage. The Huawei P20 Pro sports a 6.1-inch full-HD+ (1080 x 2244 pixels) OLED display with 19:9 aspect ratio and comes with smaller bezels and the smaller ‘notch’ design. The display is said to have a peak brightness of 770 nits. It also sports a home button that supports edgeless fingerprint sensor and gestures. The P20 Pro has an IP67 rating for water and dust resistance. It is powered by a 4,000mAh battery which can provide up to 89 hours of music playback. It also supports Huawei’s SuperCharge fast charging tech. 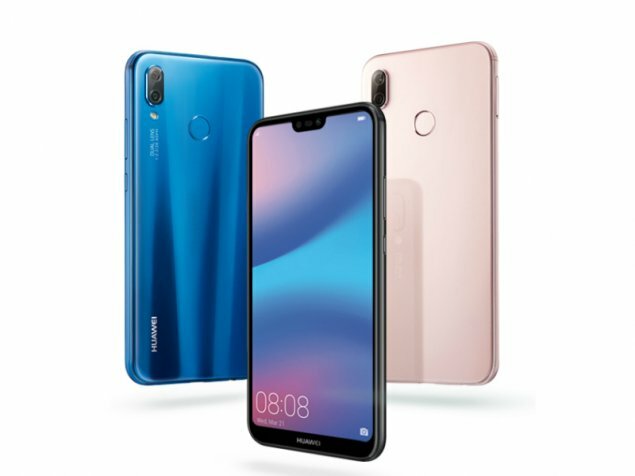 If we talk about Huawei P20 Lite, the mid-range phone sports a 5.84-inch full-HD+ (1080×2280 pixels) FullView display with similar 19:9 aspect ratio having smaller bezels and the smaller ‘notch’ design. The P20 Lite is powered by an octa-core HiSilicon Kirin 659 SoC coupled with 4GB of RAM, and 64GB inbuilt storage. Coming to the camera, P20 Lite has a vertically aligned dual camera setup on the back. It comes with a 16-megapixel primary sensor and a 2-megapixel secondary sensor. The P20 Lite will get powered by a 3000mAh battery. It also gets NFC support and face recognition as well. The phone runs on EMUI 8.0 on top of Android Oreo. The Huawei P20 Pro is priced at Rs. 64,999 in India, it comes in Black, Midnight blue, Pink gold, and Twilight color options and will go on sale starting April 30 via Amazon India. The P20 Lite price in India is set at Rs. 19,999 and it will go on sale from May 1 via Amazon.